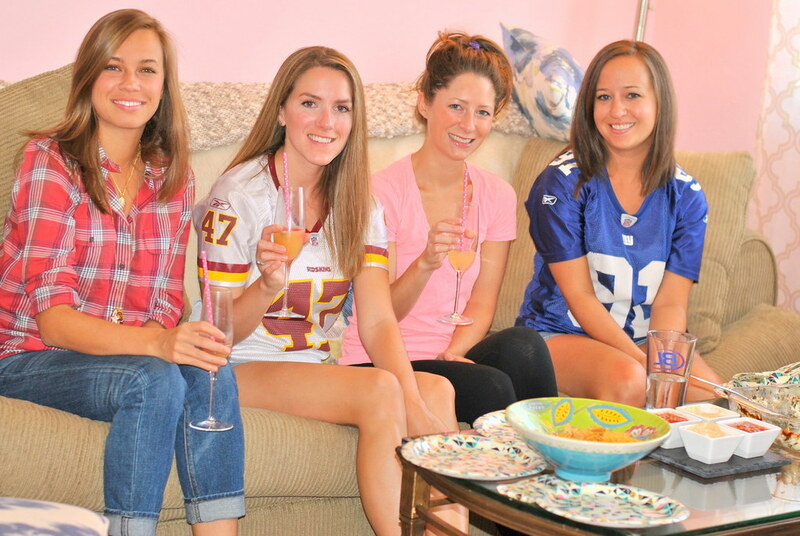 When asked to throw a party for eight of my besties complete with yummy snacks and awesome swag bags by Food Should Taste Good, I immediately was like "hells yes, a girls only football viewing brunch!!" Are you really surprised? I a pink living room, people. 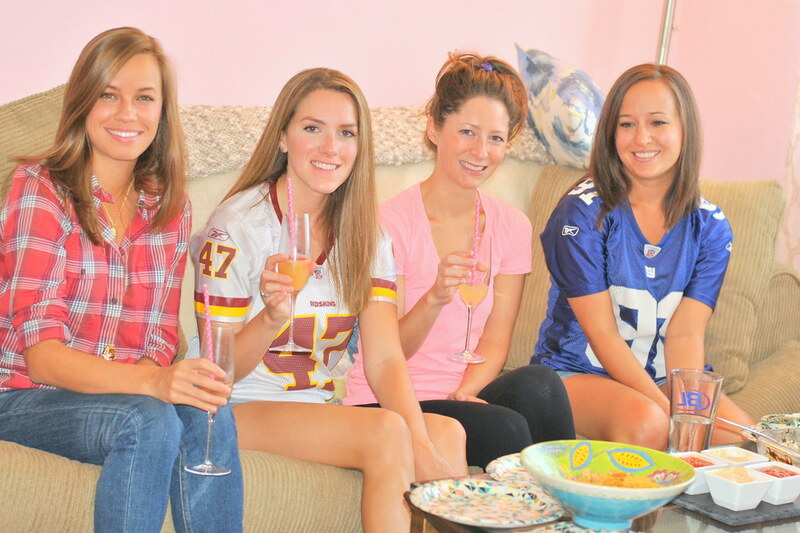 So I rounded up my football watching girlfriends (but seriously, some of them could tell you more about football then your man I swear) whom also just happen to look like I plucked from a catalog (gorgeous! 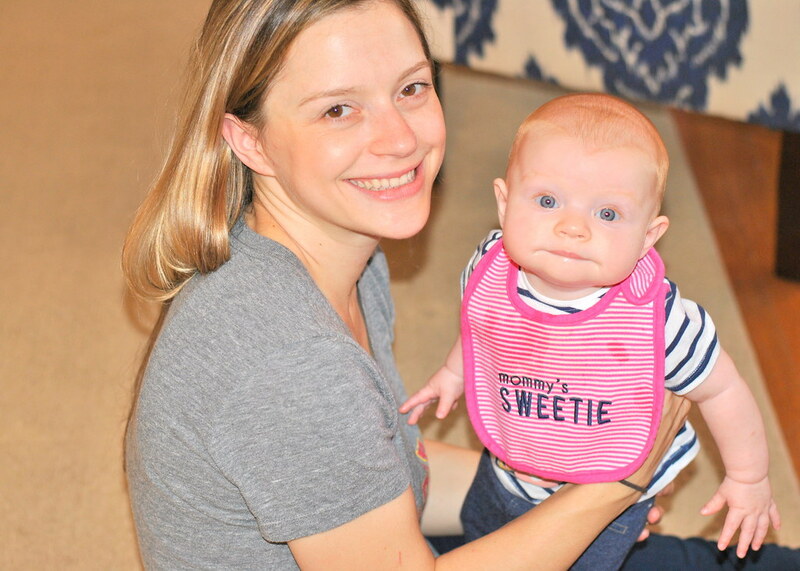 ), including the tiniest adorable Redskins baby fan, and I got to planning. 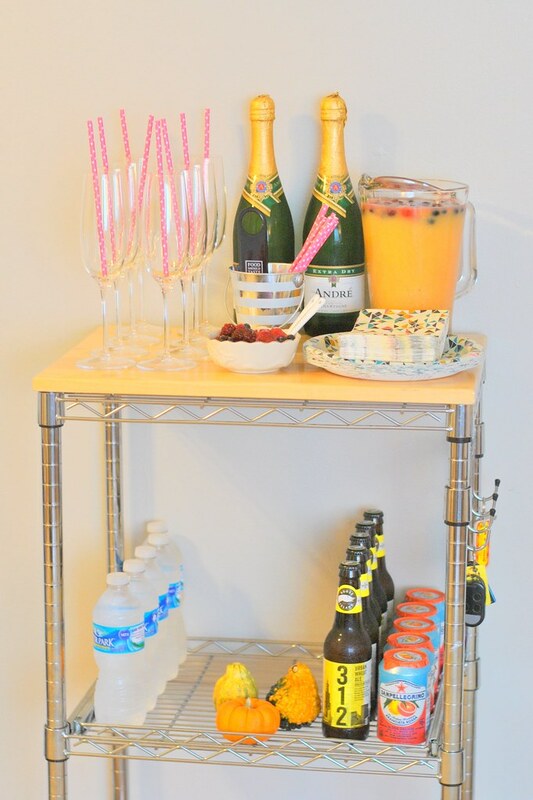 Mimosas are key to any Sunday afternoon affair so obviously we were stocked up on champs and OJ as well as adorable pink polka dot straws, duh. 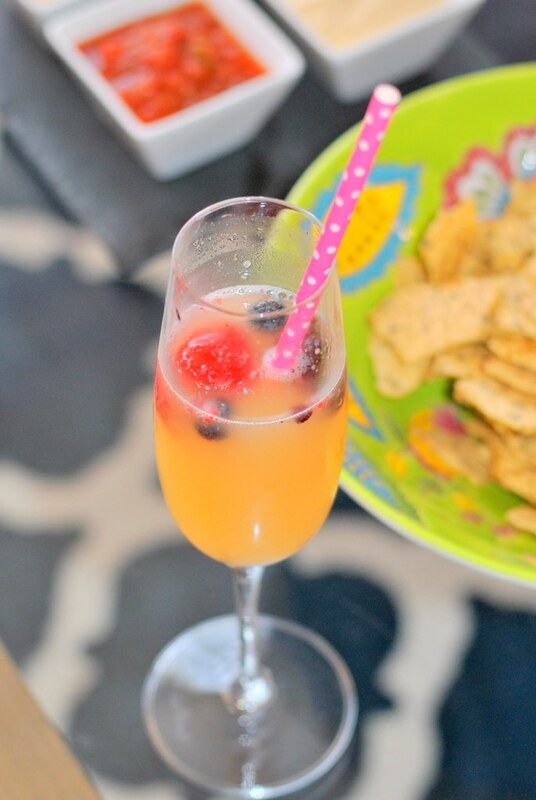 I like to throw frozen berries into mine to keep the drink cold and because, fanciness. 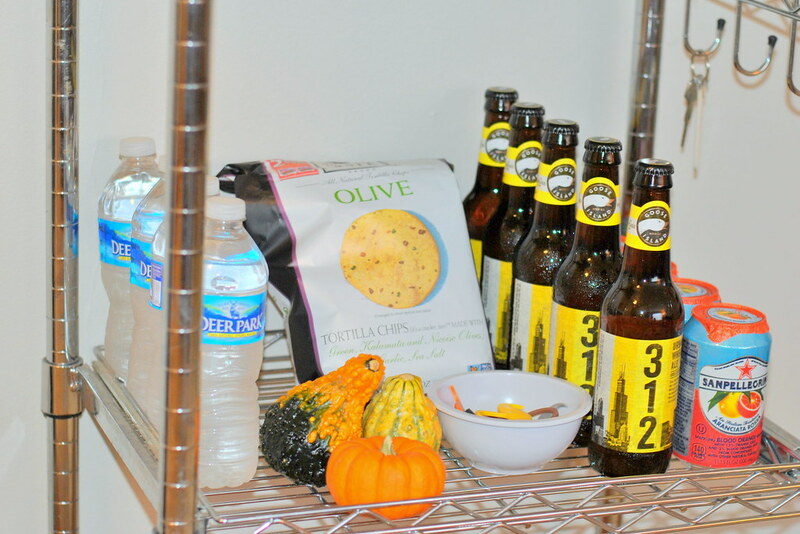 I also made sure we had some beer, water, and a non-alcoholic drinks available. For a party that is being attended by ladies only, I figured bite size food was the best way to go so they can pick and choose what they want and get a little bit of everything. I put out mini chocolate cupcakes, a variety of mini muffins, mini quiche, pigs in a blanket, and mini spanakopita. 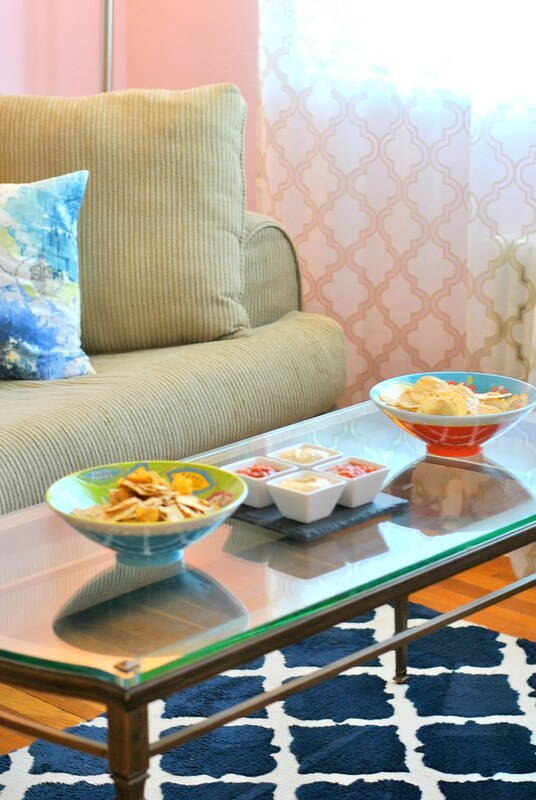 We had all different kinds of Food Should Taste Good chips available, so I put out my favorite Perfect Pita hummus and some salsa in the adorable four piece dip set (which all my guests also got to go home with in their gift bags). I baked the same spinach and artichoke dip that I made a couple of weeks ago as well which was a big hit. All of the dips paired perfectly with every variety of FSTG snack. I think my personal favorite is the Olive variety. Just a little hint of tangy salty olive in there that was delightful. I love how the FSTG chips don't leave you feeling greasy and guilty after a nosh-fest. Anything that is tasty and guilt free gets an A+ in my book. I think everyone had a really nice time, even though my little one bedroom apartment was at full capacity. I would definitely do it all again! *This post was sponsored by Food Should Taste Good. Thank you for supporting the brands that keep Currently Coveting going! 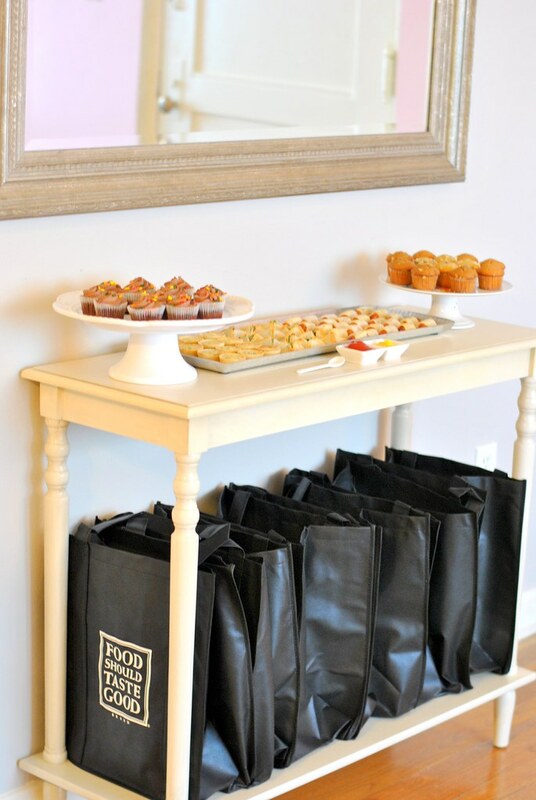 Check out other delicious ways to enjoy FSTG snacks here and here. I had so much fun Er!! Thanks for having us over, the gift bags were so nice and FSTG is delicious! This looks like so much fun. I would love to do something like this with my girlfriends!